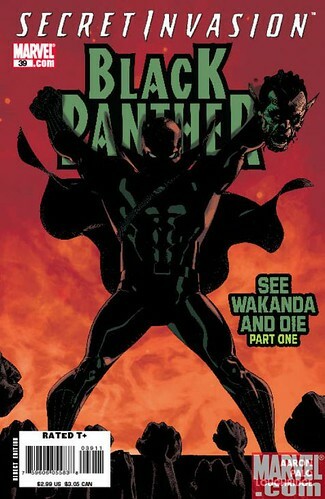 BLACK PANTHER #39, originally uploaded by Jason Aaron. It's my first time working within a major company-wide crossover, and I'm pretty proud of how it turned out. Fun little sandbox to play in. Look for it in stores today and let me know what you think. This was the busiest, craziest Comic-Con I've ever been to. I'm home now, but still recovering. Gotta get back to work. Let's talk later. Wondering the exhibit hall in a daze. Three new books for me this week. SCALPED #19 is the steamy beginning of a brand new arc. 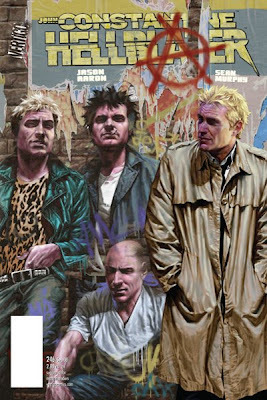 HELLBLAZER #246 is the finale of my two-part punk rock tale. 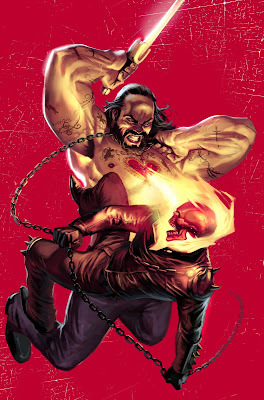 And GHOST RIDER #25 is an all-out action issue, featuring a fight scene unlike any you've ever seen. Look for them all at your local comic book establishment. 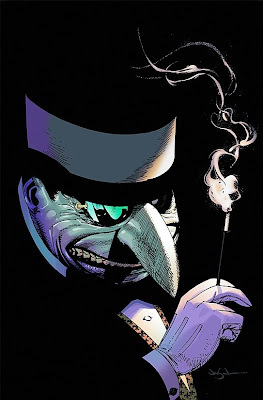 If you've ever wanted to read a story about Batman's nemesis The Penguin that was inspired by the Lee Marvin movie PRIME CUT and featured breathtakingly beautiful art from Jason Pearson, then this is the book for you. 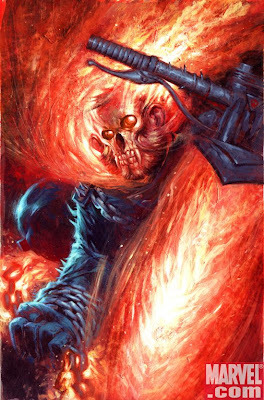 Here's the Monkey Variant cover for GHOST RIDER #26. That's right, I said Monkey Variant. Swinging your way in August. Get it? Swinging, 'cause it's a monkey? Hah? Hah? Ah to hell with you.